Sign up for Power on Command today and get an Echo Dot when you sign up! All displayed offers valid for new residential customers only. Looking for renewal rates? Call 1-877-697-7617 or start a chat below with one of our friendly agents! *Offer valid for new customers only. To utilize all features of the Amazon Echo Dot, you will need an 'always on' Wi-Fi internet service. The Echo Dot is an Amazon product provided by Direct Energy. Amazon is not a sponsor of this energy plan offer. If you cancel your plan early, there is no cancellation fee. This plan does not have a Device Cost Recovery Fee. Terms and Conditions apply. Allow 4-6 weeks for your Echo Dot to arrive. Since 1999, you've been empowered to choose your natural gas provider in the Keystone State. This power to choose has let you enjoy lower prices, increased personalization and rewards programs that were not often available from your utility company. Competition in the market has steadily increased since the early 2000s, giving people like you more choice and control over your natural gas service and bills. If you'd like to learn more about how this change affects – and benefits – you, check out our history of the Pennsylvania natural gas deregulation market. Why Should I Switch to Direct Energy? 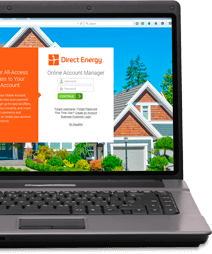 As one of the largest energy and home services companies in North America, Direct Energy provides stability and top-notch customer care that smaller companies can't match. We offer a variety of fixed-rate natural gas plans, which means your bill won't be subject to fluctuating market prices during the length of your contract. We're also your partner in navigating the energy market and choosing the best natural gas plan for you and your family. As a Direct Energy customer, you'll have access to the energy savings tips, weather preparedness guides and industry insights found in our Learning Center. How Do I Switch Natural Gas Providers? Once you've chosen the natural gas provider that best suits your needs, switching is easy! If you currently use your local utility, you can leave at any time. If you're under contract with another third-party natural gas supplier, you'll need to review your contract terms to determine if there are any fees associated with canceling early. Either way, you won't experience any service disruptions during the switch. Your current Pennsylvania utility company will continue to bill you, process your payments and take care of outage concerns, but you'll be able to enjoy all the benefits of being a Direct Energy customer! Not in Columbia Gas of Pennsylvania? Please Enter Your Location We would like to provide you with the most accurate information on on our offers, including available plans and pricing. Please enter at least your zip code, but you may also enter your complete address for more detailed information. 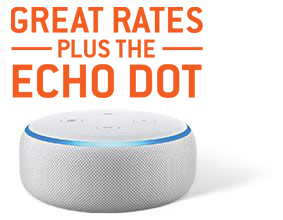 Get an Echo Dot and fixed rate Pennsylvania natural gas when you sign up for our Power on Command 24 plan.